Simcoe, ON– Representatives from 18 biosphere reserves co-hosted a non-partisan Reception on Parliament Hill on June 5, 2018, to allow Members of Parliament the opportunity to learn about the important role and contributions of Canada’s 18 UNESCO biosphere reserves. One such biosphere was our very own Long Point World Biosphere Reserve (LPWBR). They were represented by the Long Point World Biosphere Reserve Foundation (LPWBRF), where they showcased their partnership with the Long Point Phragmites Action Alliance. This partnership has a membership of more then 25 organizations whose mandate and focus is to unite the community in fighting back against the invasive Phragmites Australis. More commonly known as the Common Reed, it is the number one threat to biodiversity and the sustainability of the rare and ecologically significant Long Point wetlands. The Foundation also informed MPs of the work that they accomplished with other Biosphere Reserves in piloting the Amazing Places tourism program to promote local sustainable businesses. The pilot program was so successful that it is now being considered for implementation by Biosphere Reserves across Canada and in the northeastern United States. “We are very excited about the success that this pilot project has had and we are looking forward to seeing it implemented across Canada. As a result of this, we are now collaborating with Environment Canada and Climate Change and numerous other organizations to develop and implement a long-term Integrated Conservation strategy for Long Point so that future generations can enjoy it,” said Dave Cameron, Chair of the LPWBRF. “I was pleased to welcome Dave Cameron from the Long Point World Biosphere Reserve Foundation as they showcased to other parliamentarians the most diverse botanical and wildlife areas in Canada. With over 1,380 types of plants and over 640 different bird and animal species, it has become much more than an environmental wonder: Long Point has become an economic and tourist hub for our community. 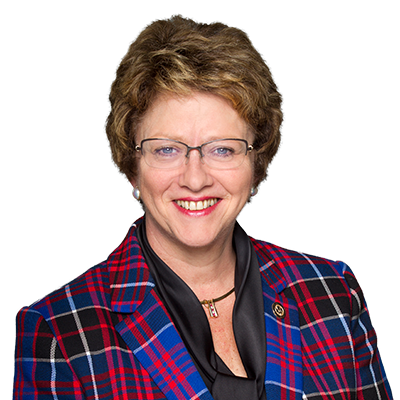 I was glad to be a part of the Conservative Government that worked with our international partners and created the National Conservation Plan, which would protect our biospheres for future generations to enjoy,” said Haldimand-Norfolk MP Diane Finley. LPWBR was designated by UNESCO in 1986. Long Point itself is a 40km long sand spit created over the last 4,000 years by erosion deposits on the north shore of Lake Erie. It contains one of the only remaining old-growth Carolinian deciduous forests in the country and is a significant migratory bird corridor, with an internationally significant wetland complex. The Long Point peninsula is home to very significant populations of Species at Risk and some of the highest density of biodiversity in Canada. Biosphere Reserves are considered to be learning sites established by countries and recognized by the United Nations Educational, Scientific, and Cultural Organization (UNESCO) and the Man and the Biosphere (MAB) Programme to promote sustainable development based on local community efforts and sound science.